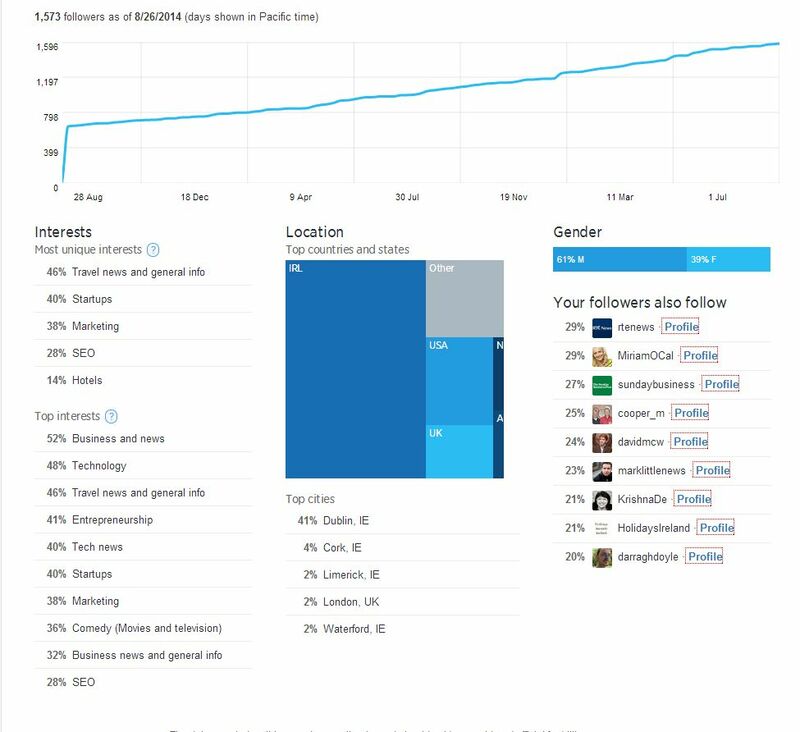 Today Twitter announced that they are [finally] making their analytics available to everyone. 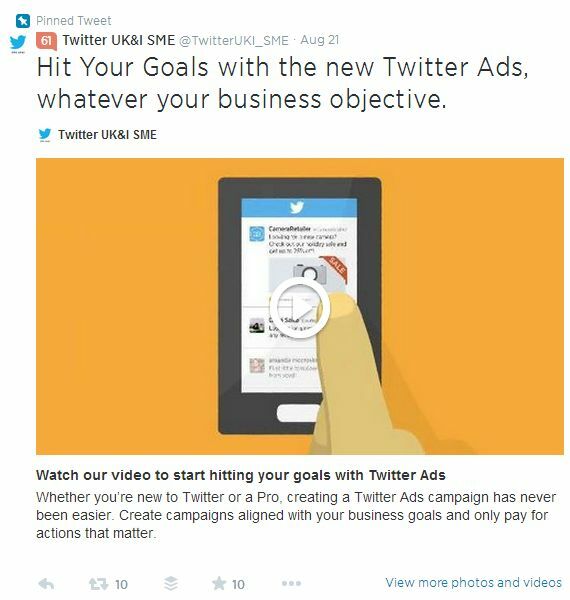 Previously to access your Twitter analytics you had to use Twitter Cards and/or run some Twitter advertising. Rolling them out to all is long overdue and I am sure you are as happy as I am to hear the good news. A snap shot of your tweet impressions over the past 28 days. An impression is calculated based on the amount of times your tweet is served into someones stream/homepage timeline. These reports are in graphical format and showcase the data for the previous 28 days. 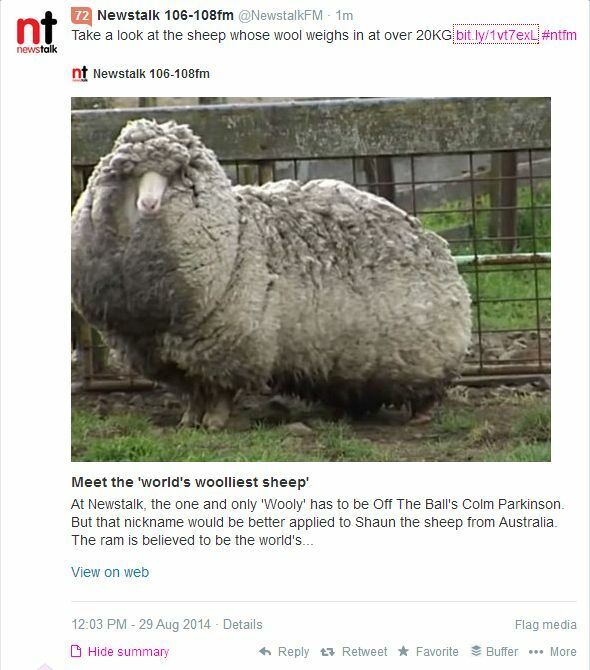 This is a great report that will enable you to see which tweets were popular and which were not. You can gauge which tone and content works best. Rather than totally changing tone and content straight away, test if tweeting at different times will help improve engagement rates for tweets that did not perform so well. Use tools like www.tweriod.com or www.followerwonk.com to gauge when your twitter community is active on Twitter. Do not forget to click on each tweet to get in depth data on the engagement types. Click on the followers tab and you will get access to lots of data about your Twitter community and network. How your network is growing over time (my report shows me over the past 2 years but this may depend on how old your account is). The interests of your network (top 5 most unique interests and top 10 interests) . Learn if the people who are following you the right people. Location. As part of your strategy you should have identified where the people or companies that you are trying to reach out to are located. Use this report to gauge if people/companies in the right locations are following you. Gender. Are your products and services gender specific. Use this report for learn more about the gender of the people connected with you. 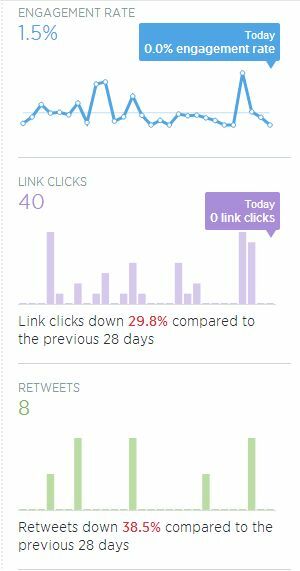 Use these reports to get a quick glance at how Tweets with your Twitter Cards drove URL clicks and how they affected your impressions and click rate. 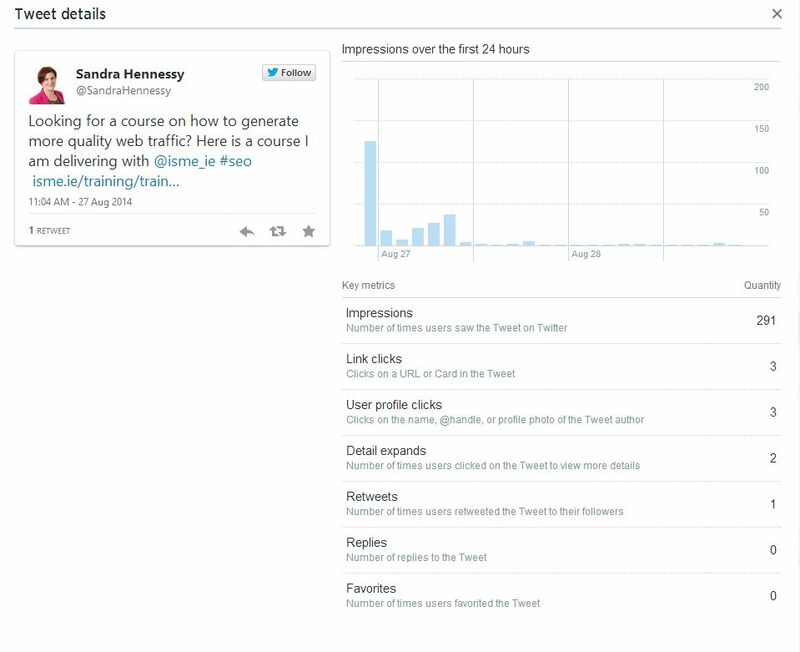 So that is a quick run down of the reports you will find in your Twitter analytics. While you will find these useful I cannot wait to see what additional data can be provided down the line. Are there any reports that you think Twitter should include?